Ongoing contact between European institutions and the Belarusian opposition seem to irritate the Belarusian leader to such an extent that he is ready to make changes to his pro-European agenda. Fifth column or fifth wheel? In recent months, the Belarusian opposition has been intensifying its contacts with Europe at a faster pace than the Belarusian authorities. Meetings with opposition and Belarusian civil society representatives were on the agenda of all major visitors to Belarus from the European Union, PACE or the OSCE. Opposition leaders were also making more frequent visits to Europe, and it seems they had a warm welcome there. For example, last week ex-presidential candidate Aleksandr Kozulin and the leader of the United Civil Party Anatoly Lebedko went to Strasbourg where they discussed “problems of human rights in Belarus” with Benita Ferrero-Waldner, the European Commissioner for External Relations and European Neighbourhood Policy. There were also talks with the Council of Europe’s General Secretary Terry Davis. The opposition is at ease suggesting that Europe should be tougher on Belarus, and criticises not only the Belarusian authorities, but also officials in Brussels and Strasbourg, for being spineless. Anatoly Lebedko, for instance, says that the European Union should insist on specific time limits for bringing about “democratic reforms” in Belarus. Aleksandr Kozulin is sure that, in its dialogue with Belarus, “Europe should follow European values and morals, not particular economic interests”. At a news conference on Monday, both opposition leaders even stated that they would like to form a coalition of countries to defend moral principles in their relations with Belarus, and expect support on this from Lithuania, The Netherlands, Sweden and the United Kingdom. 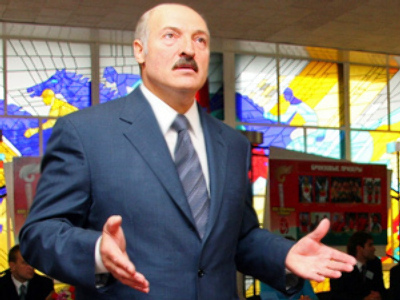 The fact that the Belarusian opposition demands tougher sanctions for their own country makes Aleksandr Lukashenko call them “the fifth column” and “the enemies of Belarusian people”. On Tuesday he said that "if we publicised information about the way our opposition works in Brussels, Strasbourg, other European capitals and in the United States, everybody would be stricken by it. “As soon as we began attempts to negotiate with the Europeans and this process started to gain momentum, the opposition threw a tantrum… They cry that [the European Union] must demand more from Lukashenko, squeeze and strangle in the time of crisis. It is great harm they want to inflict on our country,” he said. However, Aleksandr Lukashenko is critical not only of the opposition, but also of the European officials who “listen to the opposition”. He said therefore that Belarus would end dialogue with the European Union if it did not co-operate with Belarus on the principles agreed at his meeting with Javier Solana, the EU High Representative for the Common Foreign and Security Policy. “If the Europeans think they can keep us hooked while getting signals from our hoodlum opposition, if they think they can hound us and spur us all along at their will, we will refuse to continue dialogue,” he said. Maybe it was this discontent with the European way of rapprochement which made Aleksandr Lukashenko change his plans for last week and go to Armenia the day before he was to meet Benita Ferrero-Waldner in Minsk. The Commissioner’s press office announced that her visit was postponed because of an “overloaded schedule”. There are reasons to believe that Lukashenko also ignored a planned meeting with the OSCE Parliamentary Assembly President Joao Soares while the latter was in Minsk between 9-12 March. Europe continues its special view on Belarus, with regular carrot-and-stick statements. Thus Javier Solana who promised in February not to lay down any conditions, now claims that it is important for Belarus to “remain committed to the non-recognition of South Ossetia and Abkhazia,” which in present circumstances sounds more like a demand. “As you know, the European Union did not recognise the independence of these countries and does not want to change its point of view. We hope that all who co-operate with us will stick to this position”. By the way, it is still not clear whether the issue of Abkhazia and South Ossetia will be considered by the Belarusian parliament in April as had been said earlier. The issue is still not on the spring session agenda. Some Belarusian officials believe that the discussion on Abkhazia and South Ossetia will be postponed until the autumn. Contrastingly, PACE Rapporteur on Belarus, Andrea Rigoni, said this week that it is possible that the special guest status at the Assembly will be granted to Belarus in June. 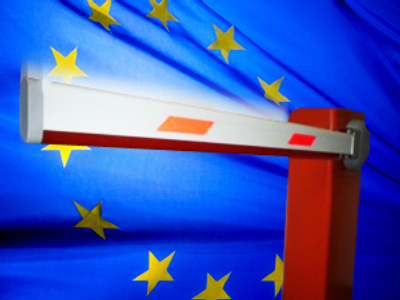 Moreover, European foreign ministers extended the travel ban reprieve for Belarus for the next 9 months, stating that a definitive removal of the ban would depend on progress in human rights and democracy. 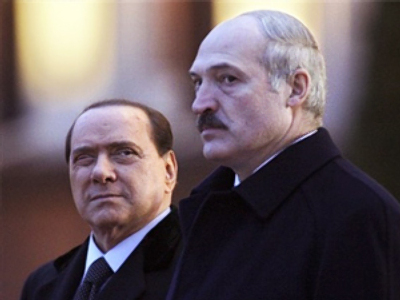 It seems that Europe wants to confuse Aleksandr Lukashenko by sending contradictory signals. But the Belarusian president is clearly not in the mood to play the game. After all, the financial incentives for closer co-operation that the EU promises are of little help to the country in economic crisis. 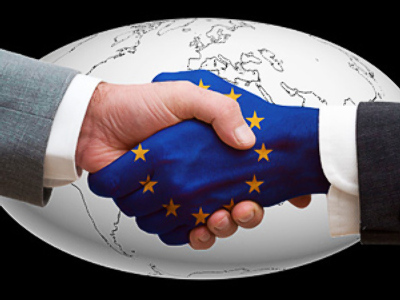 For example, the Eastern Partnership programme will not bring Belarus more than USD $1 billion of investment in the next 5 years, while Minsk needs about USD $6 billion to sustain the economy during 2009, and probably even more in 2010. Thus Europe’s present bewildering political rhetoric might prove to be no more effective than the years of sanctions.